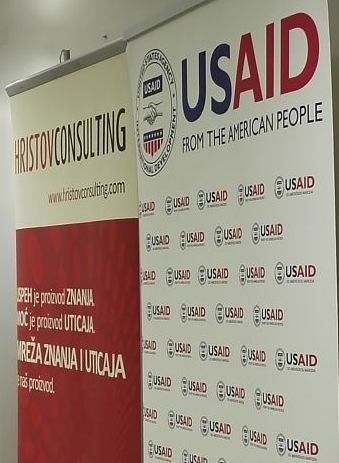 Hristov Consulting, in cooperation with USAID, organized two day training on public relations for civil society organizations on January 25-26 in Belgrade. On the first day of the training participants were managers and public relations officers from organizations, while the second day of training was intended only for PR people. 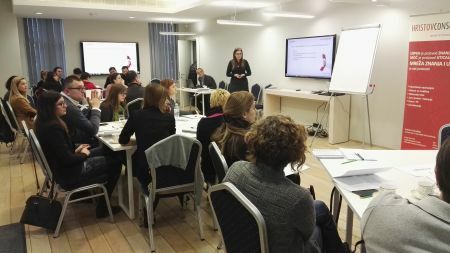 The aim of the training was to present the best ways for communication with the public to civil society organizations, USAID partners in Serbia, and to point out the importance of systematic work in this field. The team of Hristov Consulting, who prepared training materials in cooperation with USAID, consisted of three facilitators (Aleksandra Hristov, Goradna Lazarevic and Miodrag Kostic), and the participants had the opportunity to discuss and share experiences with the editor of Phonet Zoran Sekulic and the editor of Blic Zlata Djordjevic.